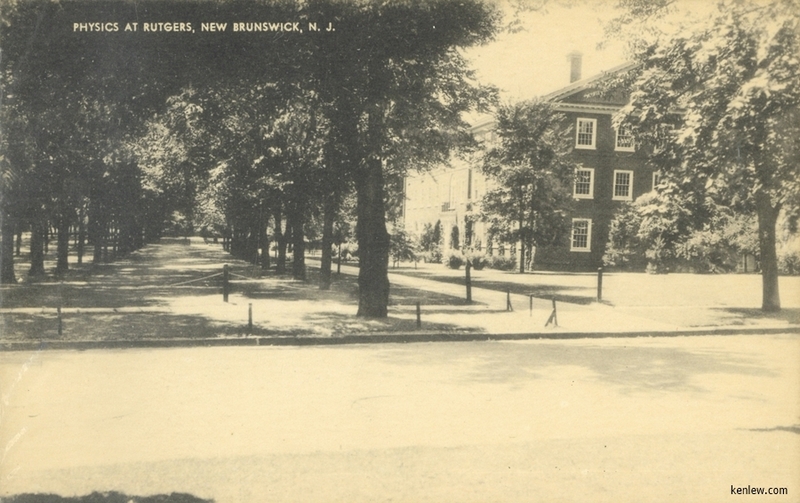 College Avenue, New Brunswick, N.J. Suydam Hall, New Brunswick, N.J. Theolgical Seminary of the Reformed Church of America, New Brunswick, N.J.
Suydam Hall and Statue, Rutgers College, New Brunswick, N.J. Residence Quadrangles, Livingston College, Rutgers University, New Brunswick, N.J. Livingston College Academic Building (Tillett Hall), Livingston College, Rutgers University, New Brunswick, N.J.
Livingston College Academic Building (Tillett Hall), Livingston College, Rutgers University, New Brunswick, N.J. 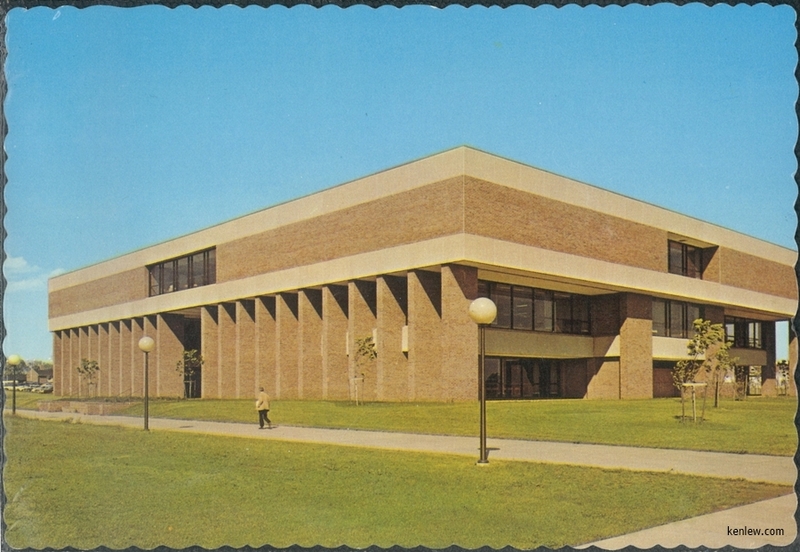 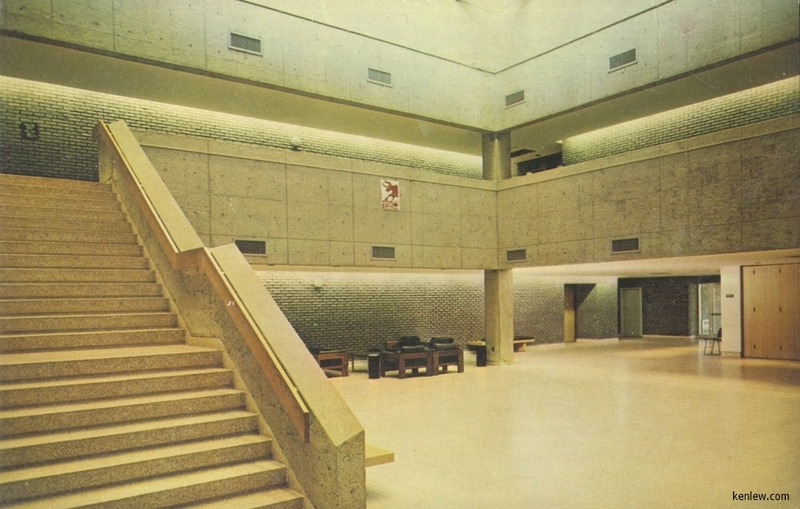 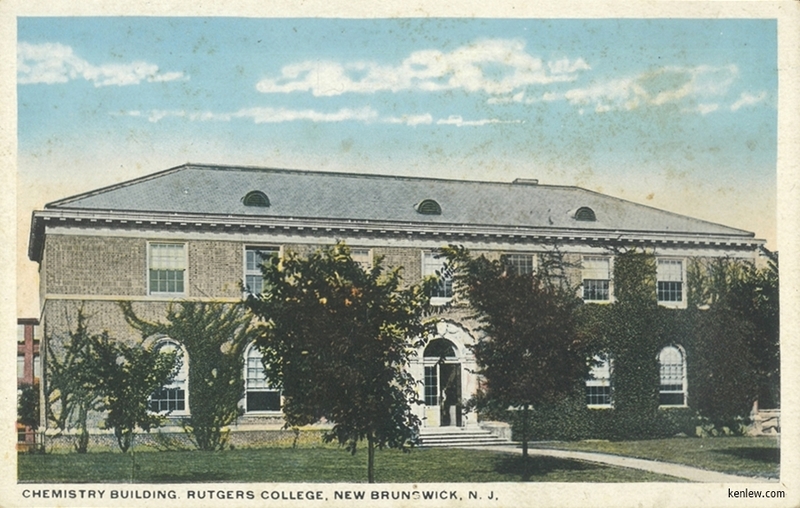 The Great Hall of Livingston's Academic Building (Tillett Hall), Livingston College, Rutgers University, New Brunswick N.J. Rutgers - The State University, New Brunswick, N.J. - Physics Building and Lecture Hall, University Heights Campus Rutger University - The State University of New Jersey - Library of Science and Medicine, University Heights, Piscataway, N.J. Rutgers - The State University, New Brunswick, N.J. - Nelson Biological Laboratories 32--Institute of Microbiology, University Heights Campus, Rutgers University, New Brunswick, N.J.
Elizabeth Rodman Vorhees Chapel, Douglass College, New Brunswick, N.J. Voorhees Chapel, New Jersey College for Women, New Brunswick, N.J.
Monument of the World War Red Cross Driver at Women't College, New Brunswick, N.J. 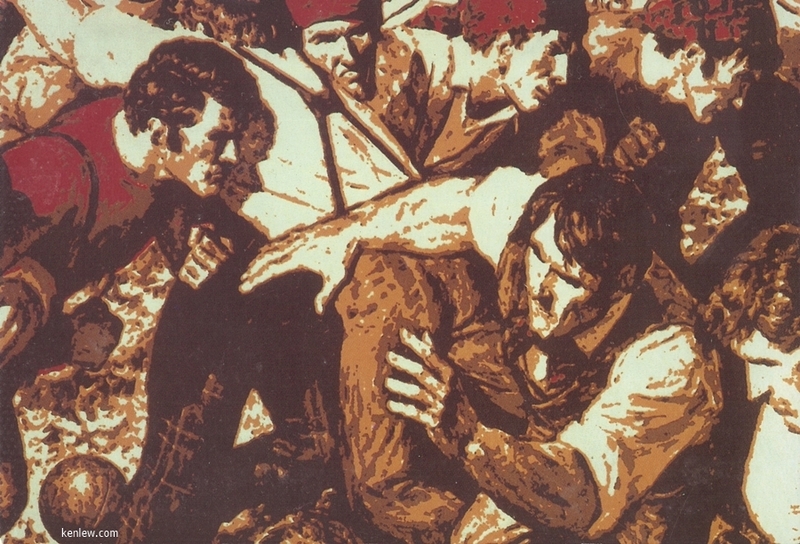 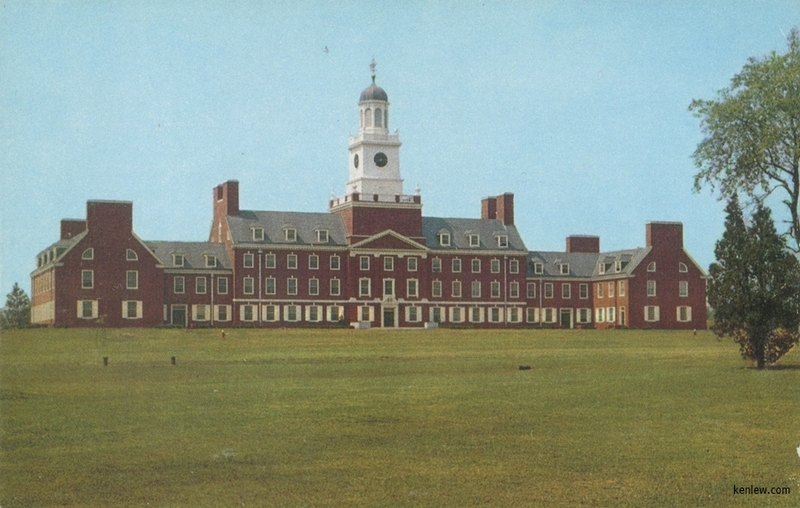 Detail of a painting - The First Intercollegiate Football Game Real Photo Postcard - Lodge, Douglass College N.J.C. 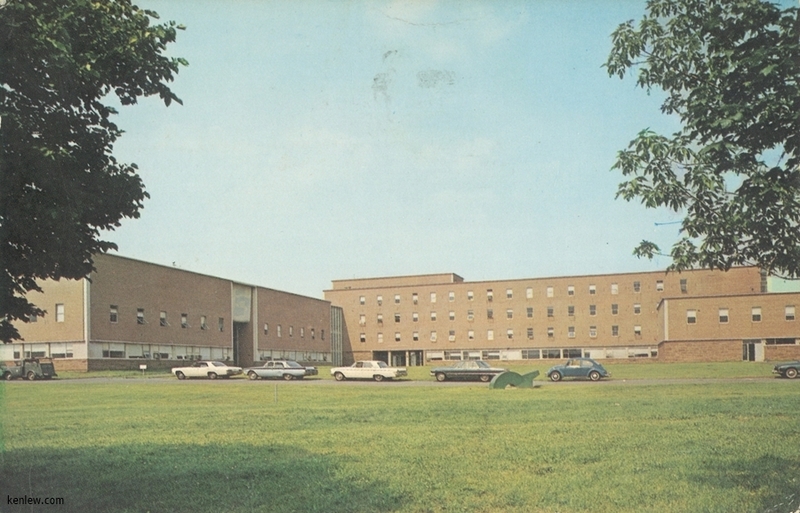 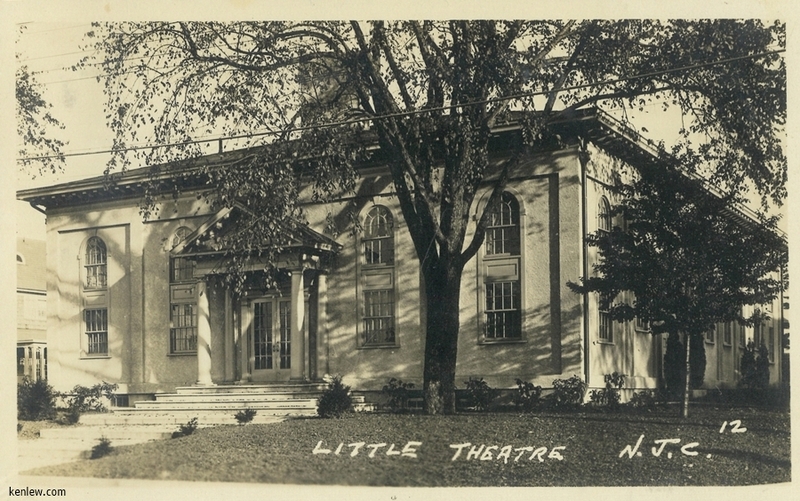 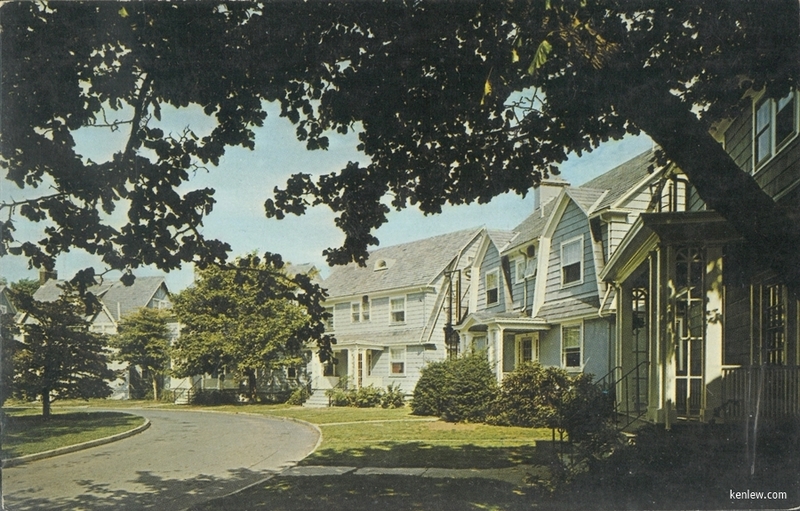 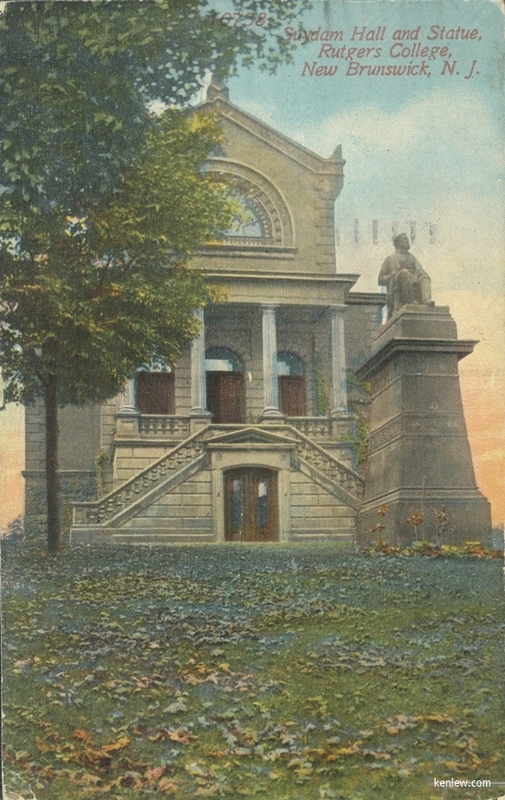 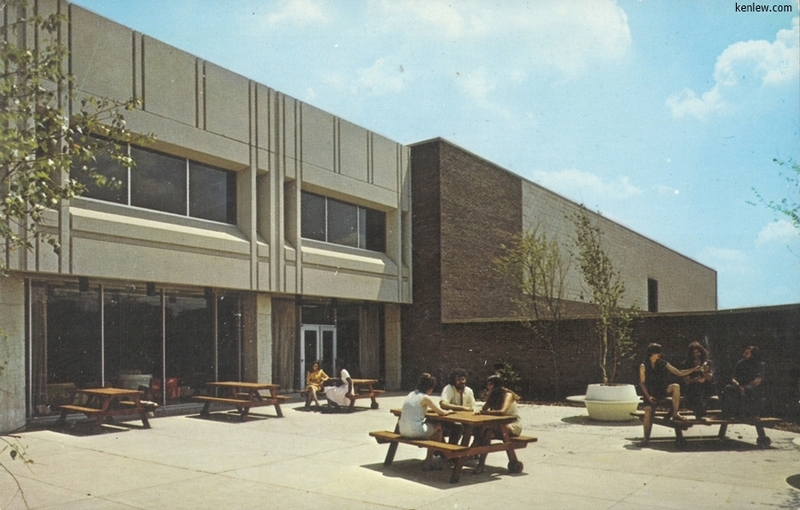 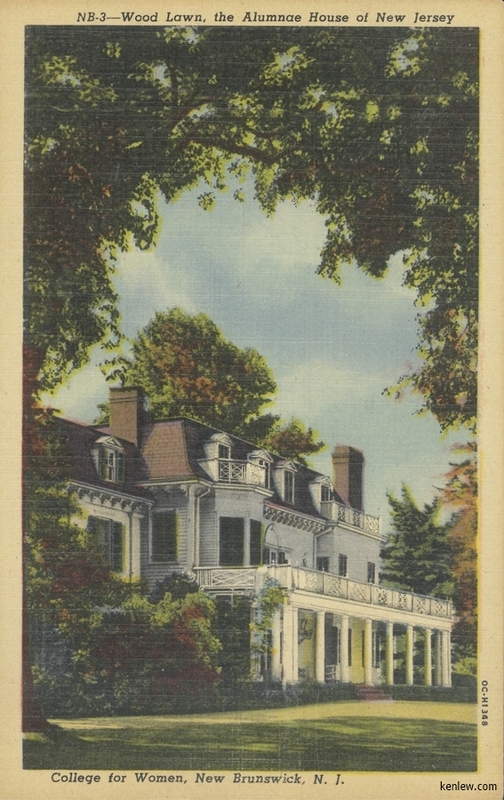 Real Photo Postcard - Little Theatre, N.J.C. 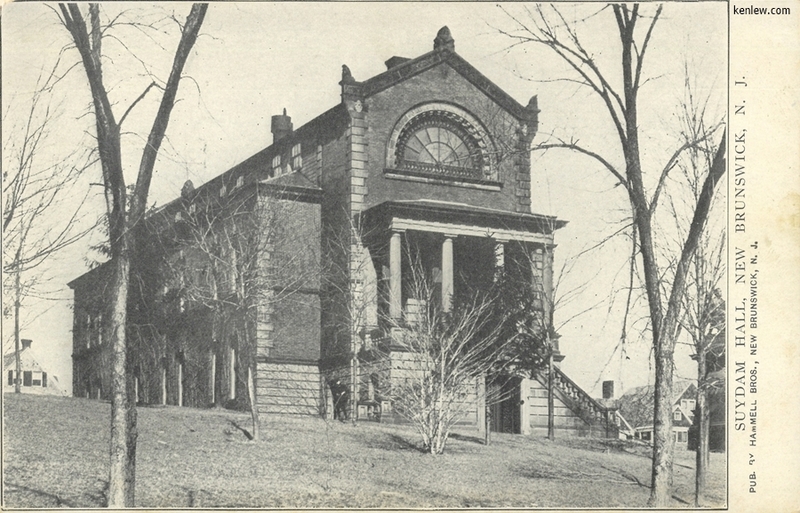 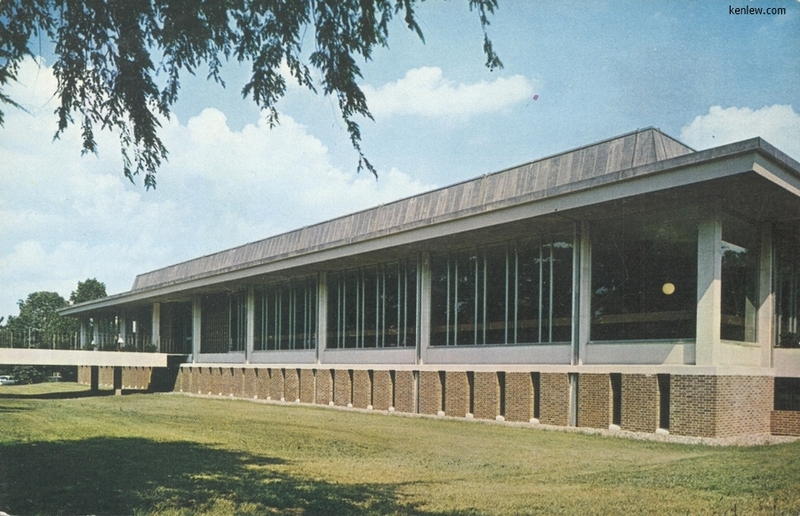 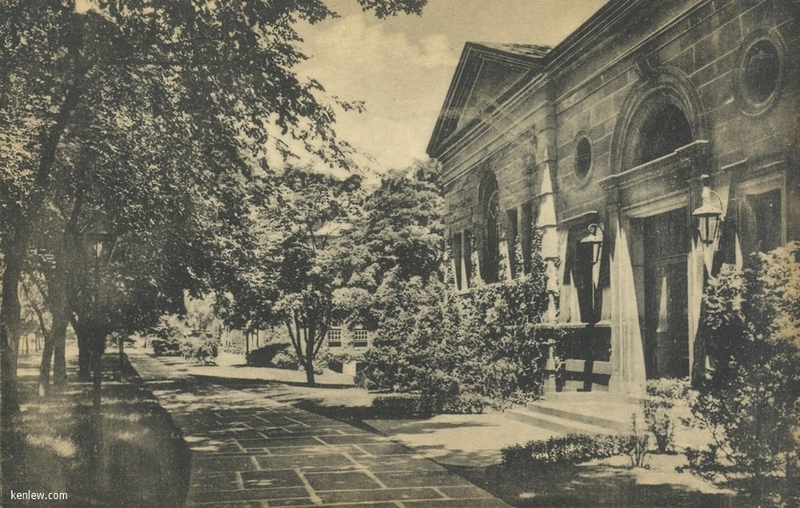 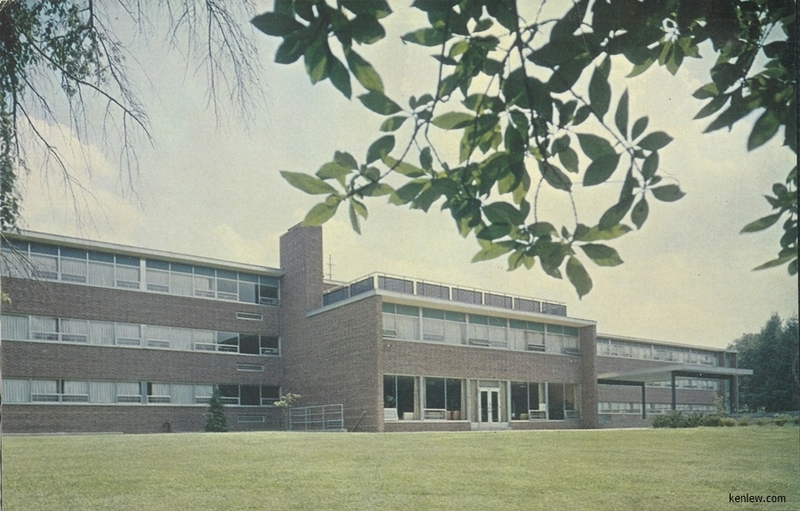 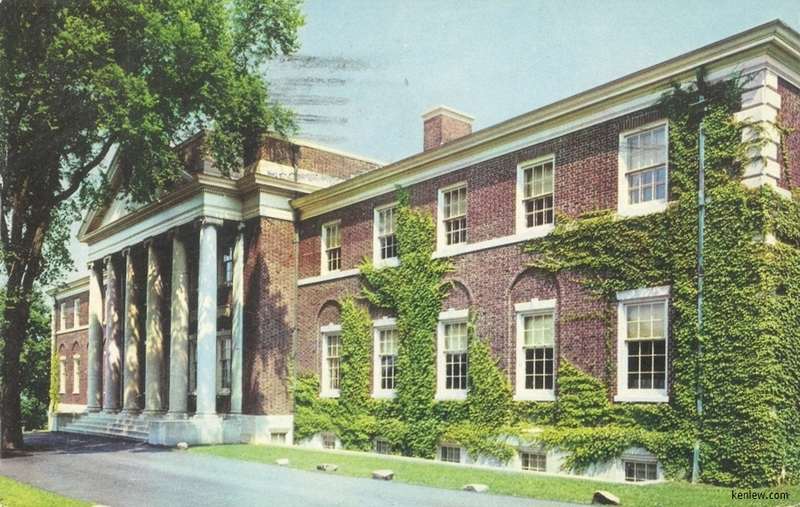 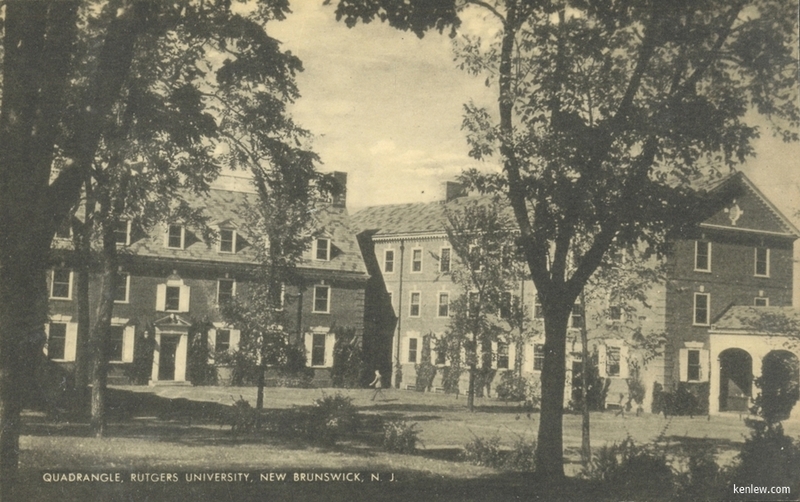 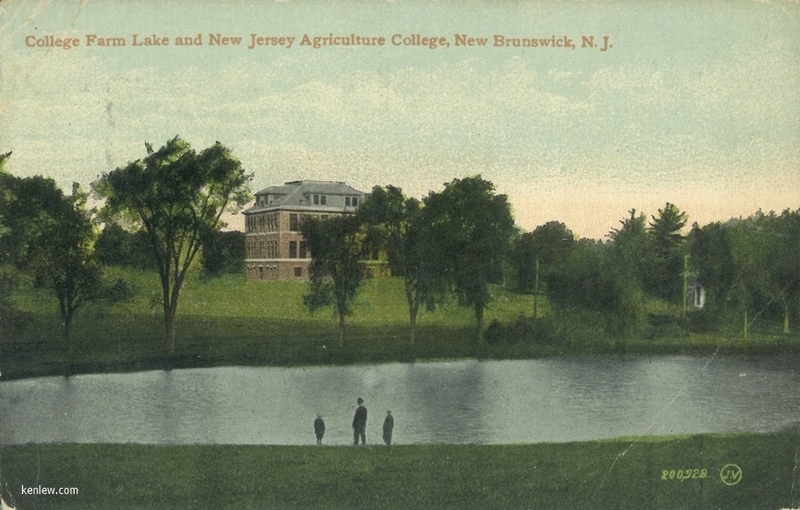 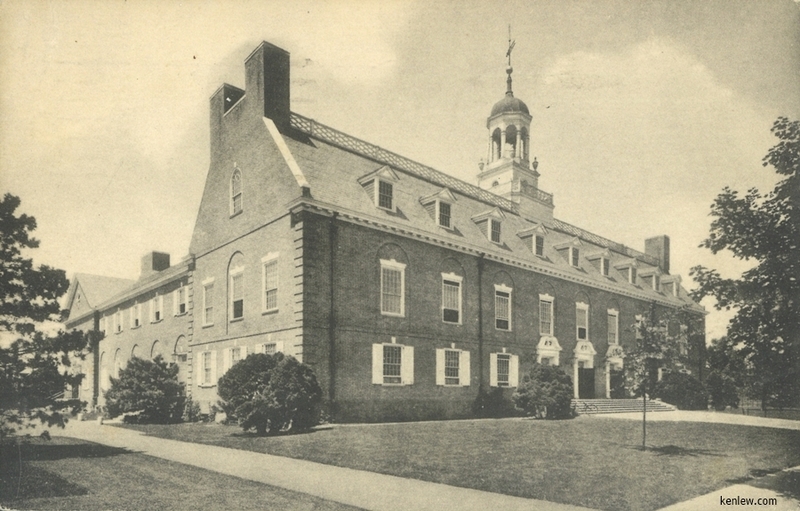 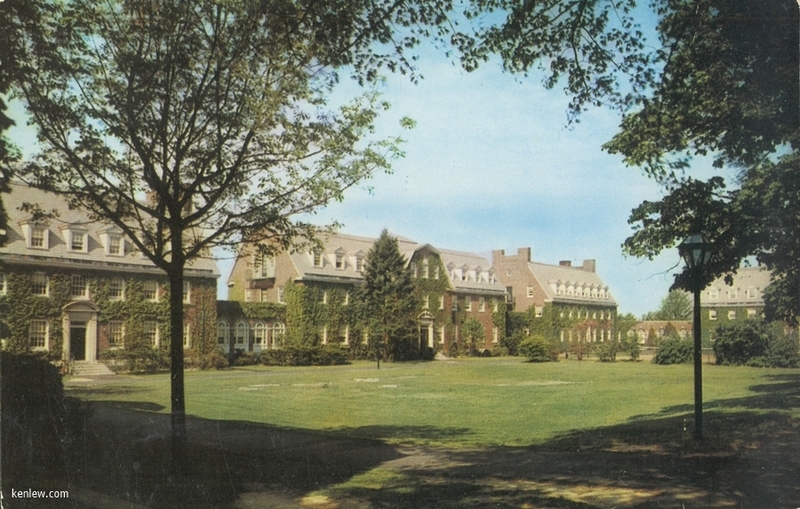 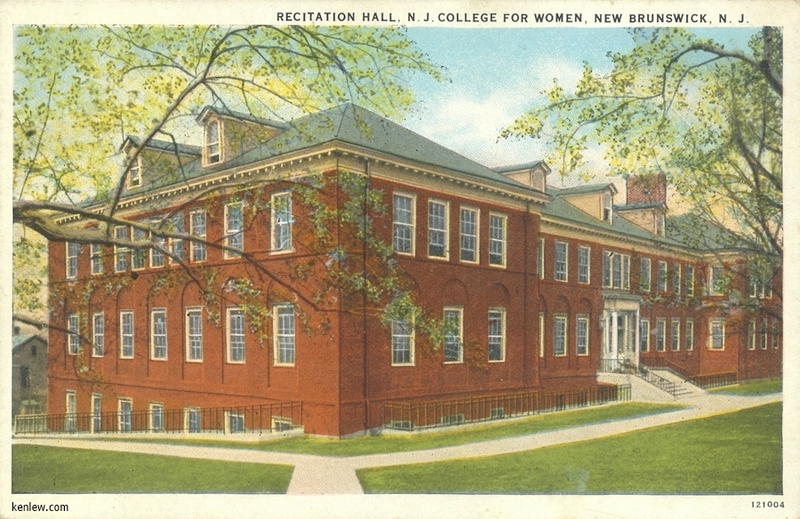 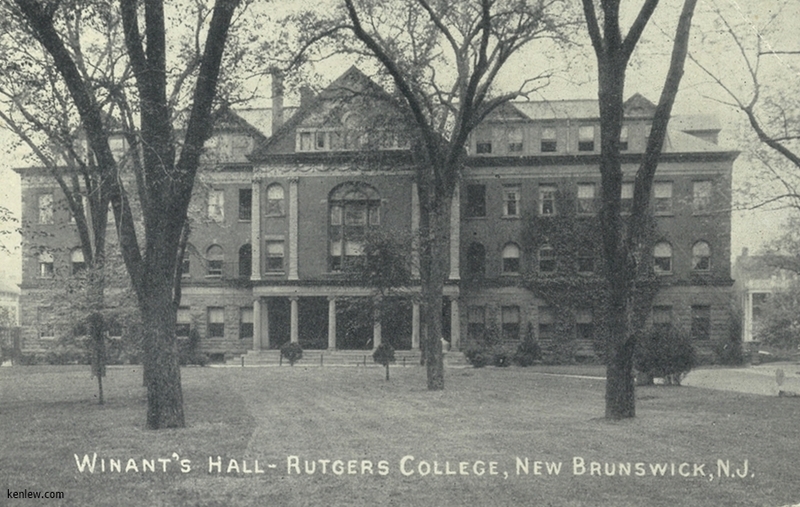 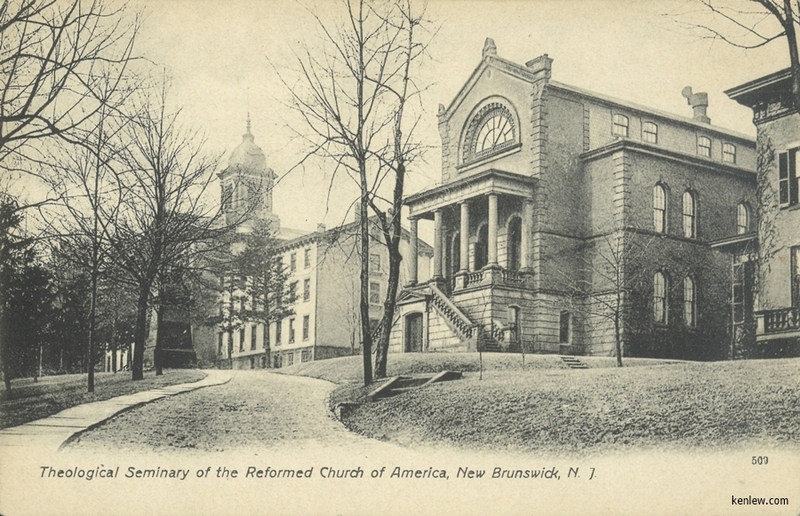 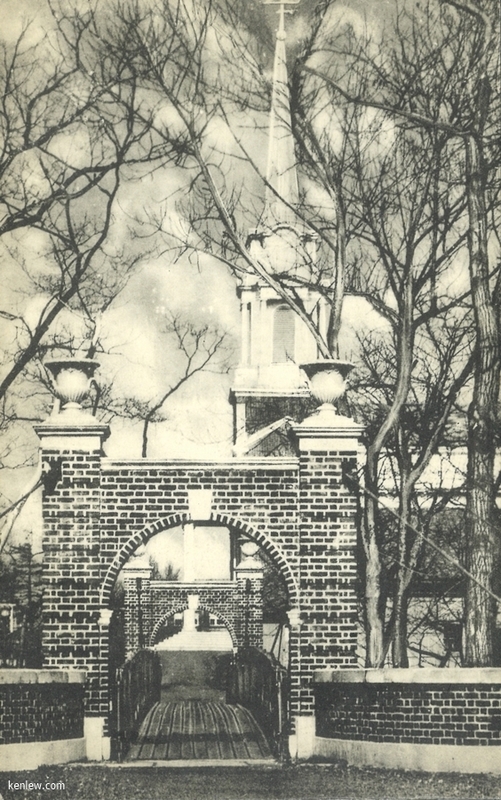 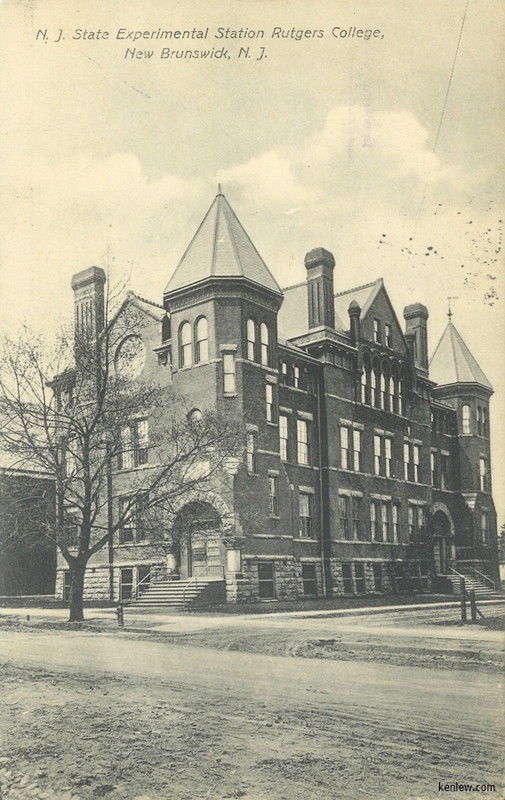 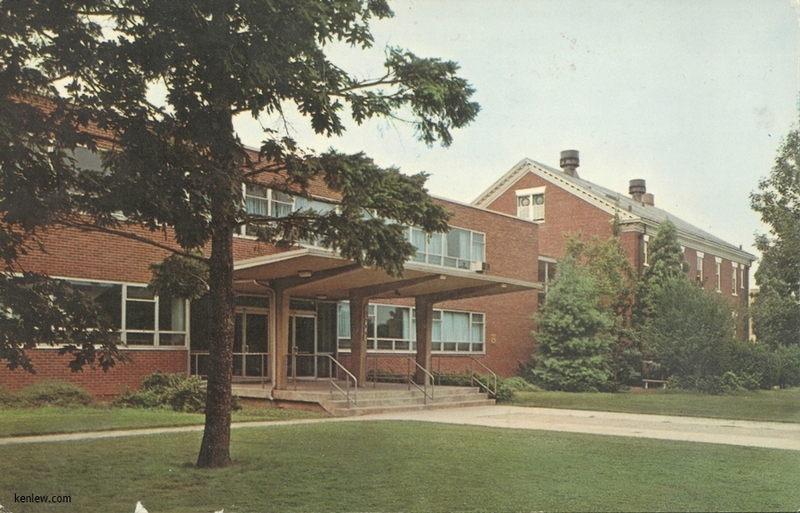 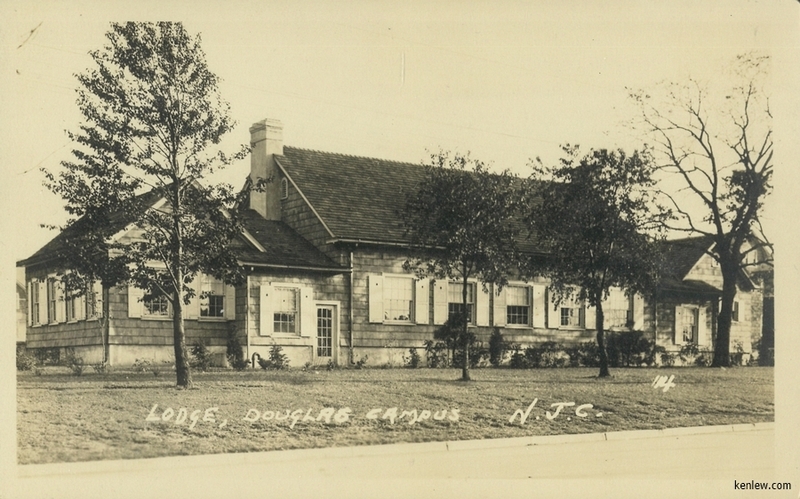 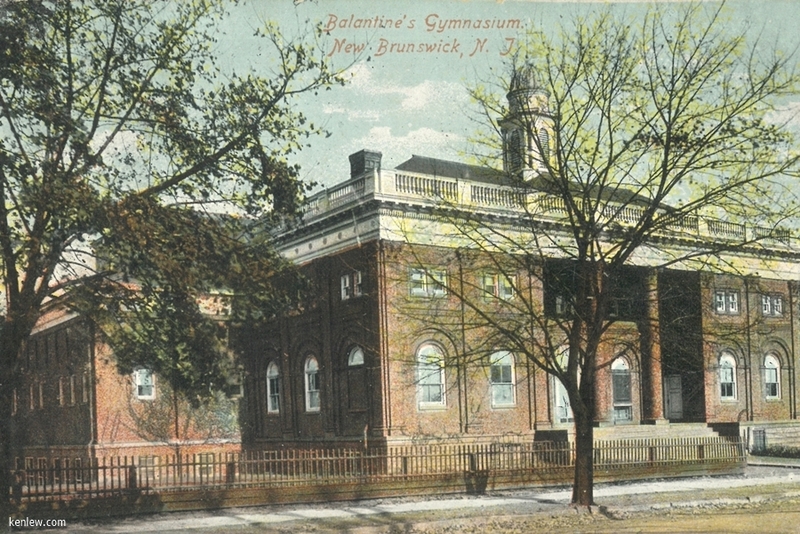 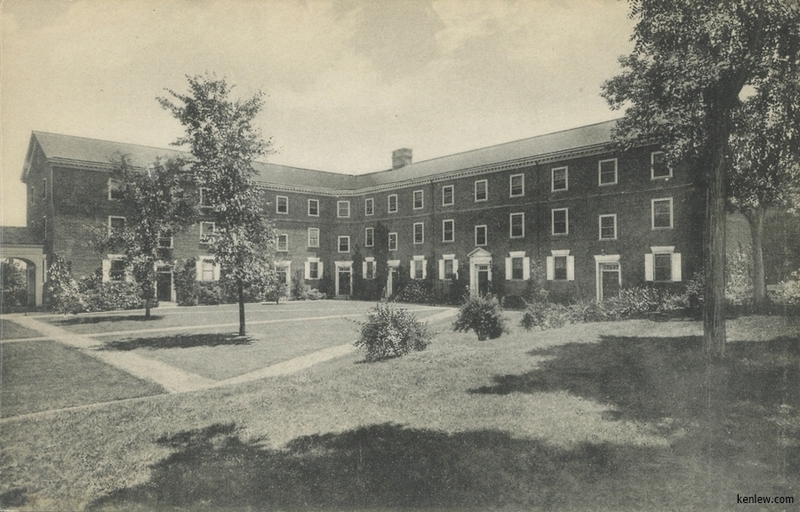 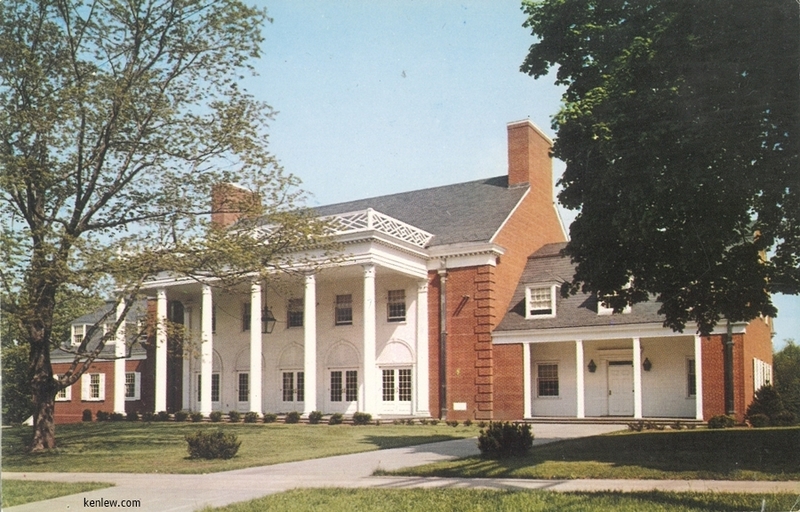 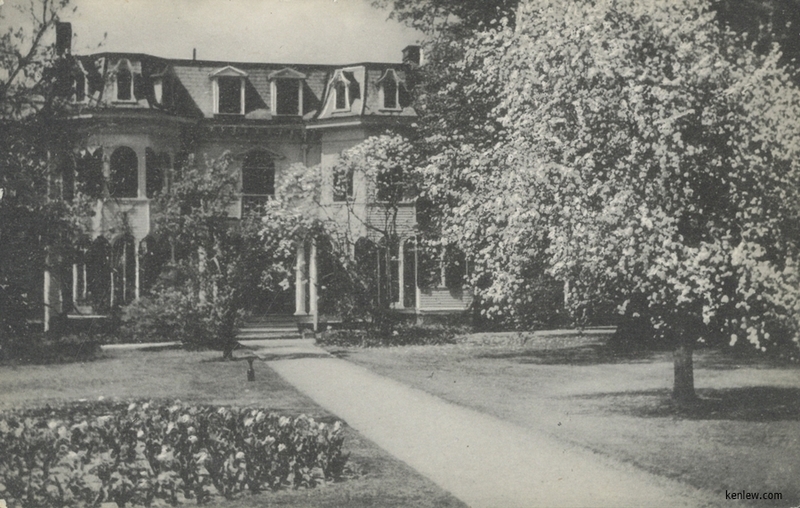 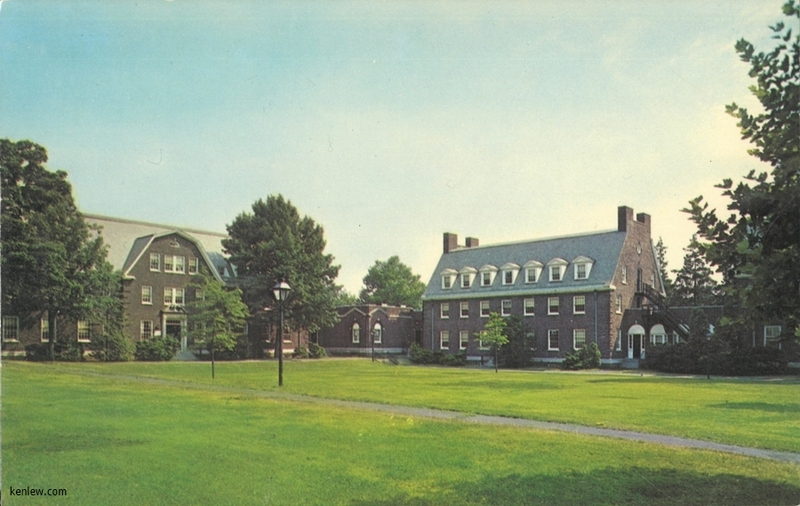 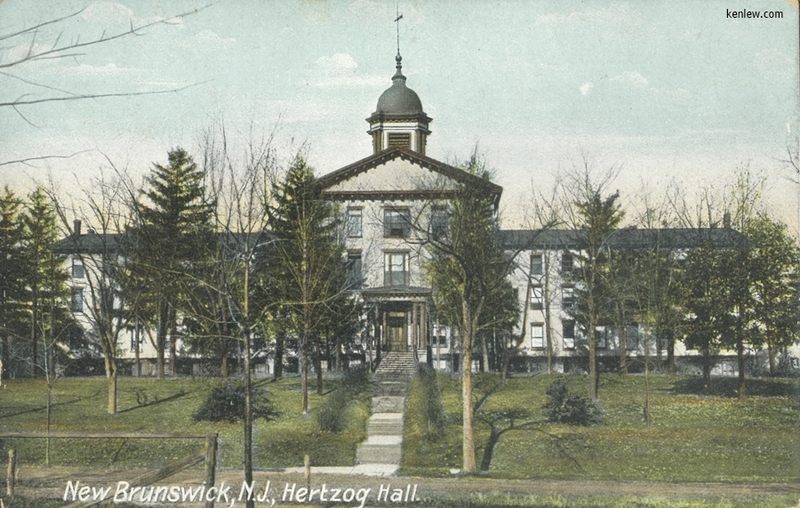 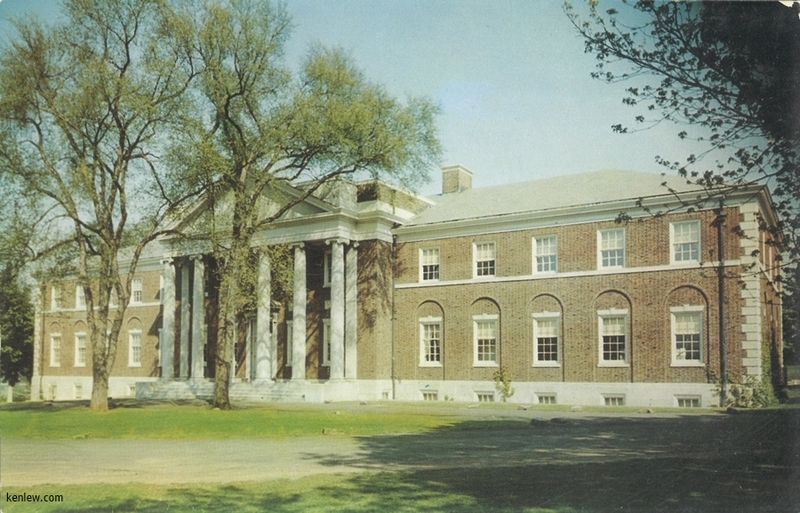 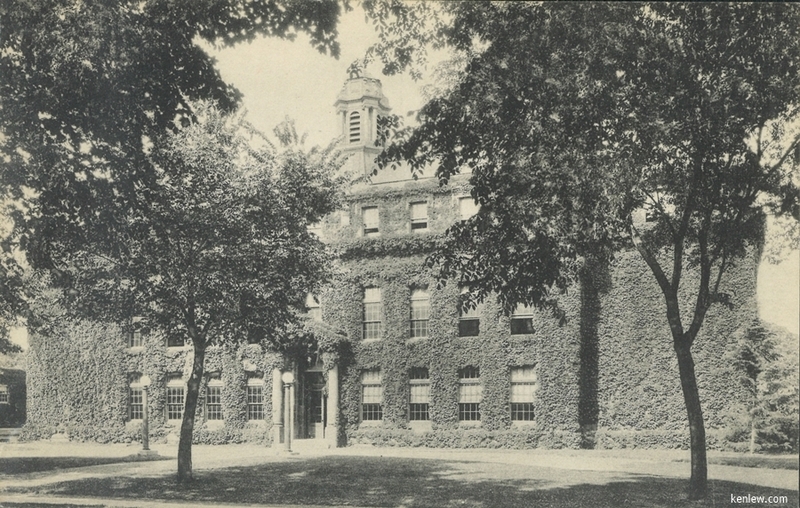 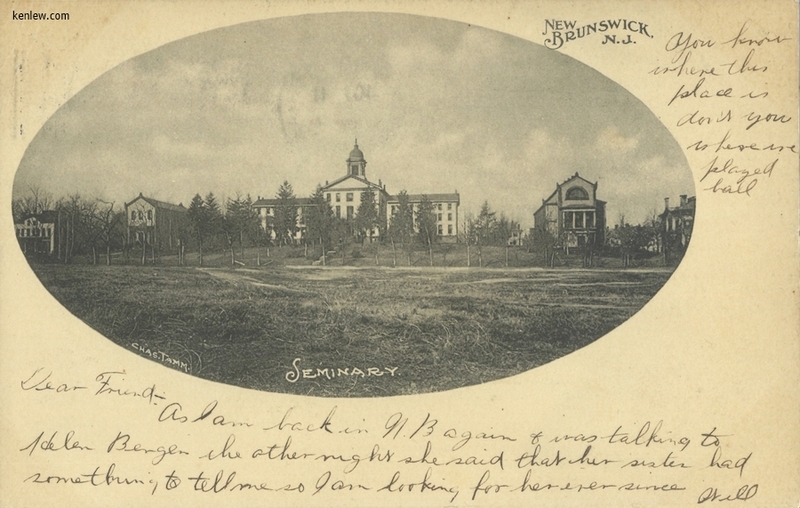 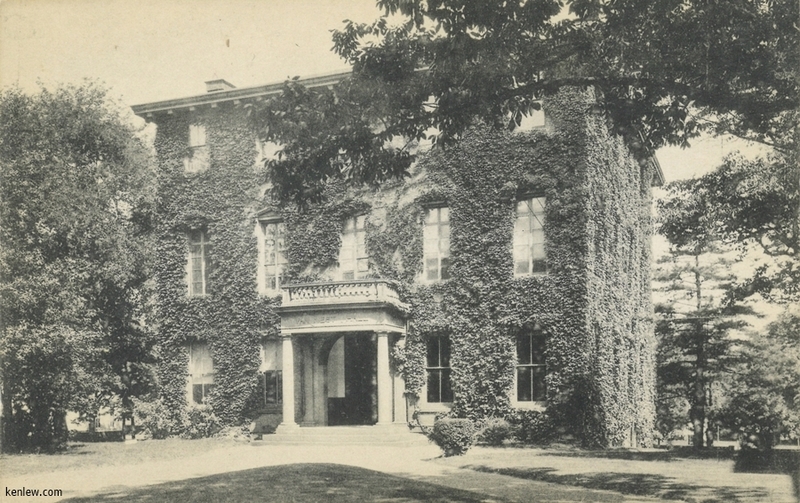 Recitation Hall (now Ruth Adams), N.J. College For Women, New Brunswick, N.J. Library-Study Center, Douglass College, New Brunswick, N.J.
NB-3 -- Wood Lawn, the Alumnae House of New Jersey College for Women, New Brunswick, N.J. 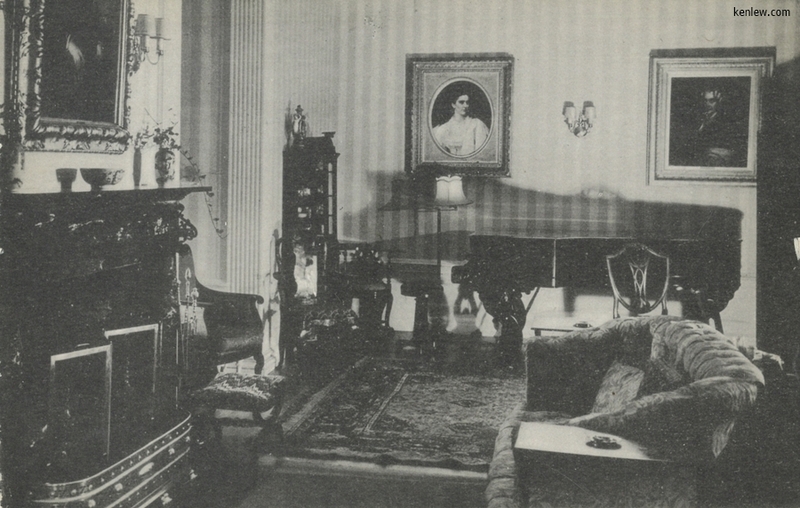 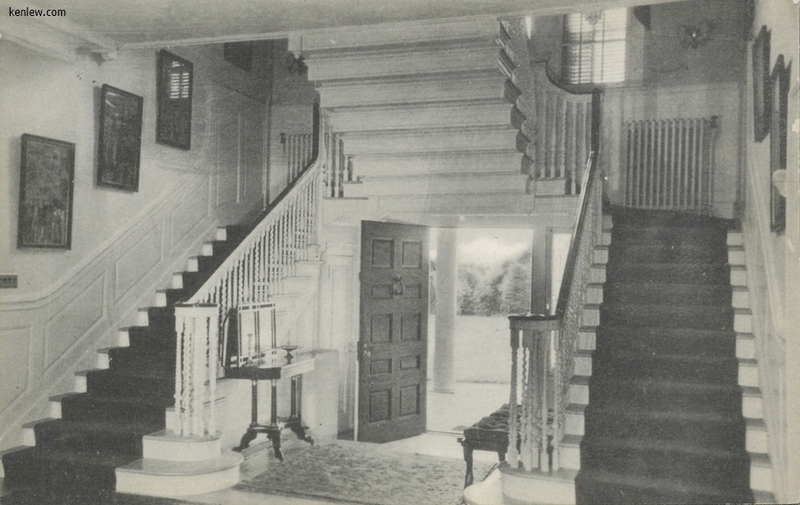 The Drawing Room, Wood Lawn, Alumnae House, New Jersey College For Women, New Brunswik, N.J. Twin Staircase, Wood Lawn, Alumnae House, New Jersey College For Women, New Brunswik, N.J. Spring in the Garden, Wood Lawn, Alumnae House, New Jersey College For Women, New Brunswik, N.J. Music Building, Douglass College, New Brunswick, N.J. Student Center, Douglass College, New Brunswick, N.J.
N.B. 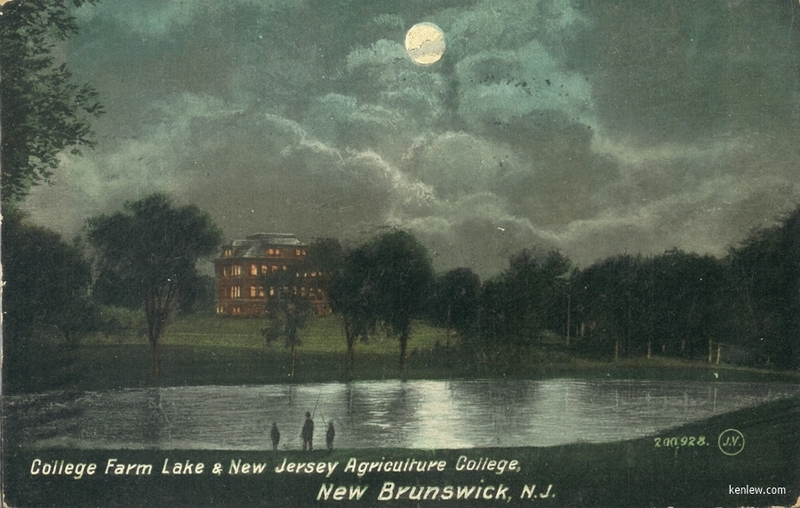 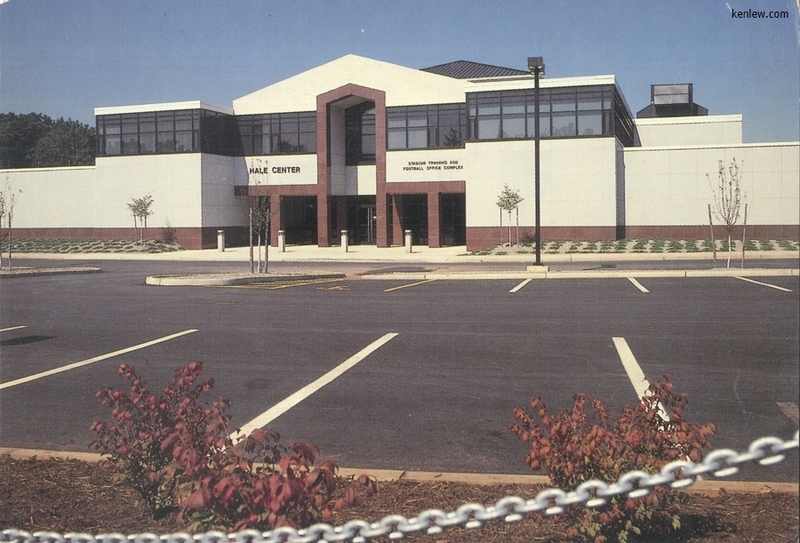 13 -- Jamison Campus, New Jersey College for Women, New Brunswick, N.J. Jameson Residence Campus, Douglass College, New Brunswick, N.J. Jameson Residence Campus, Douglass College, New Brunswick, N.J. Corwin Residence Campus, Douglass College, New Brunswick, N.J. College Farm Lake and New Jersey Agricultural College, New Brunswick, N.J. College Farm Lake & New Jersey Agricultural College, New Brunswick, N.J.
New Chemistry Building, Rutgers University, The State University of New Jersey, New Brunswick, N.J. Neilson Residence Campus, Douglass College, New Brunswick, N.J. Blake Hall, College of Agriculture and Environmental Science, New Brunswick, N.J. Bird's-Eye View of Agricultural Farm, Rutgers College, New Brunswick, N.J. New Brunswick, N.J. Hertzog Hall. 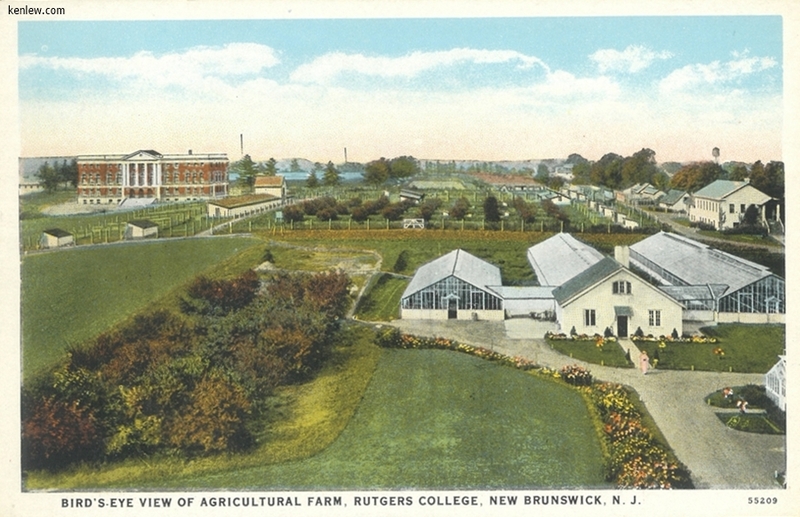 Van Nest Hall, Rutgers University, New Brunsick, N.J.
Neilson Campus from Voorhees Library, Rutgers University, New Brunsick, N.J. Balantine's Gymnasium, New Brunswick, N.J.
Elizabeth Rodman Voorhees Chapel from the Suspension Bridge, New Jersey Collge for Women, New Brunswick, N.J. Engineering Building, Rutgers Universty, New Brunswick, N.J. 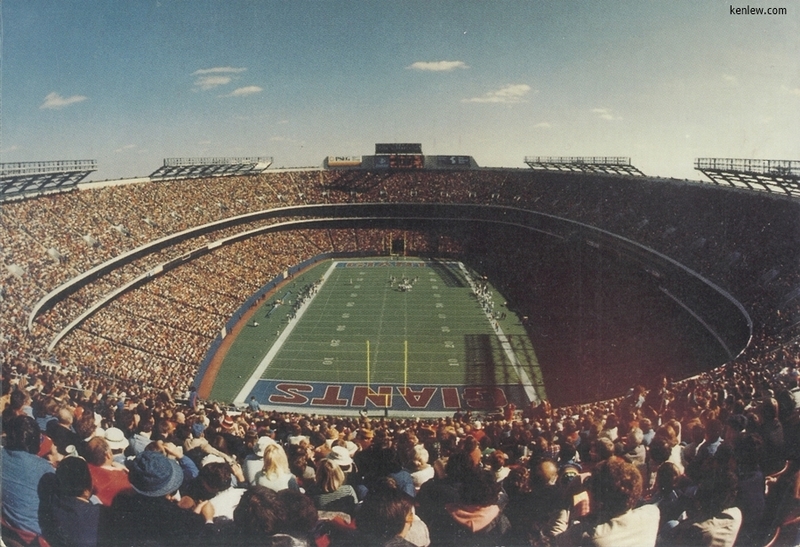 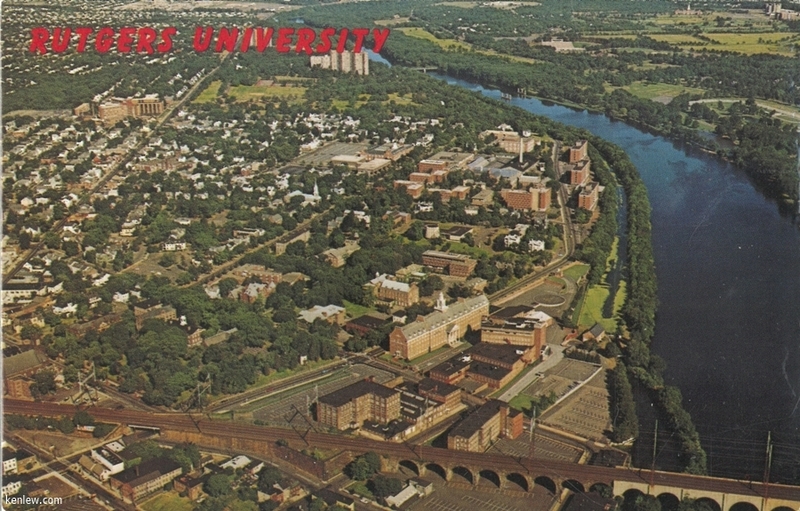 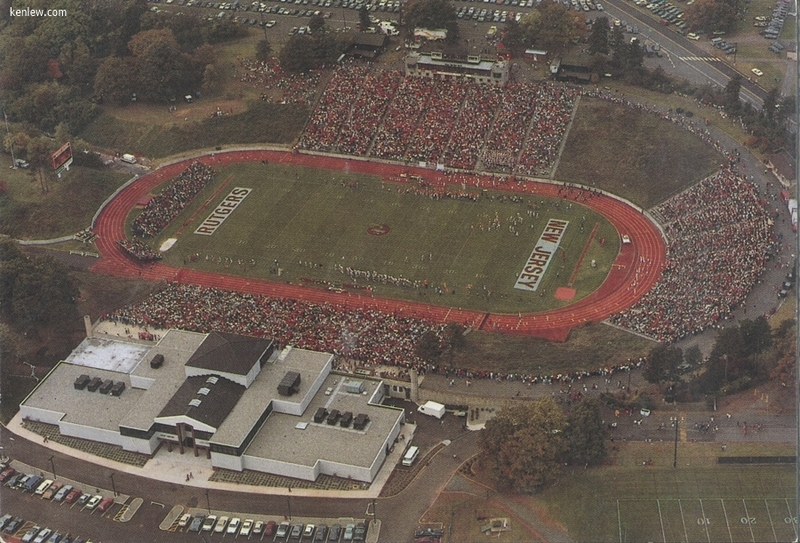 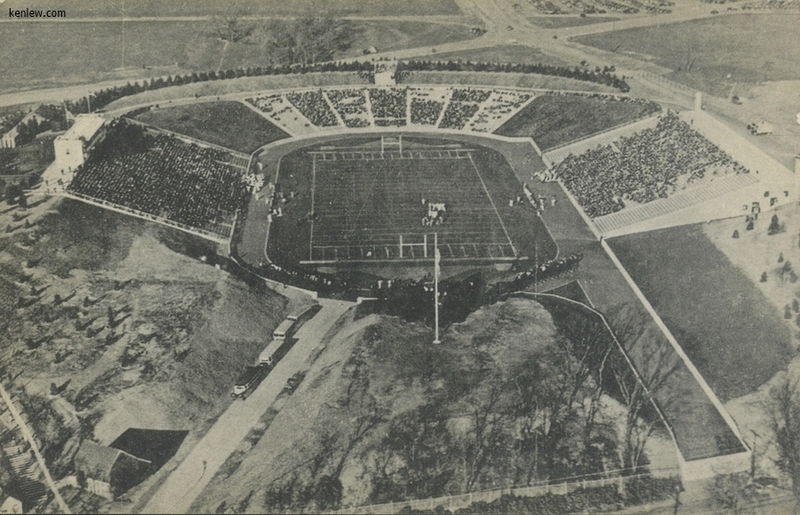 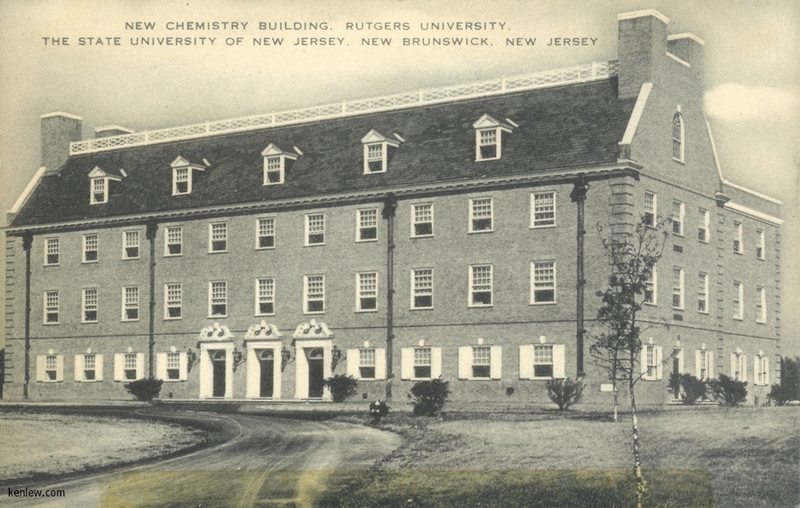 Seminary, New Brunswick, N.J. Winant's Hall - Rutgers College, New Brunswick, N.J.
Rutgers University Stadium, New Brunswick, N.J. Rutgers University (Aerial View) Chemistry Building, Rutgers College, New Brunswick, N.J. Hegeman Dormitory, Rutgers University, New Brunsick, N.J.
N.J. State Experimental Station Rutgers College, New Brunswick, N.J. Music Building, Douglass College New Brunswick, New Jersey. 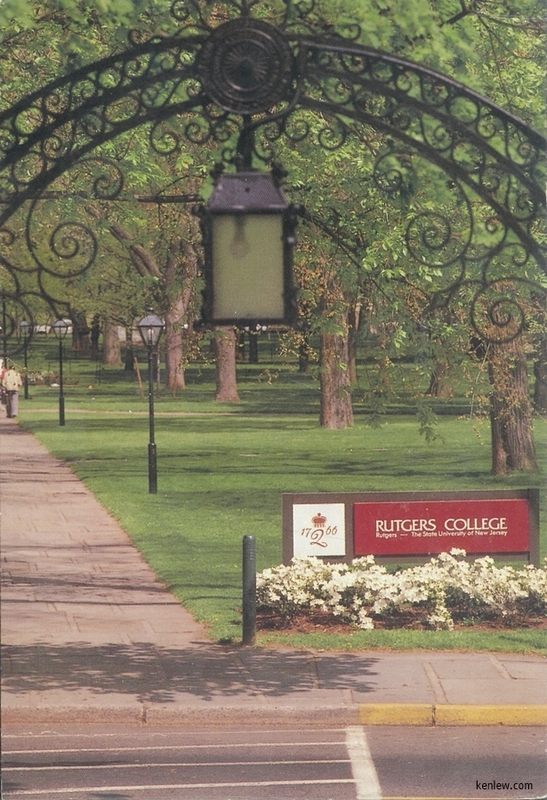 Rutgers University, The State University of New Jersey. 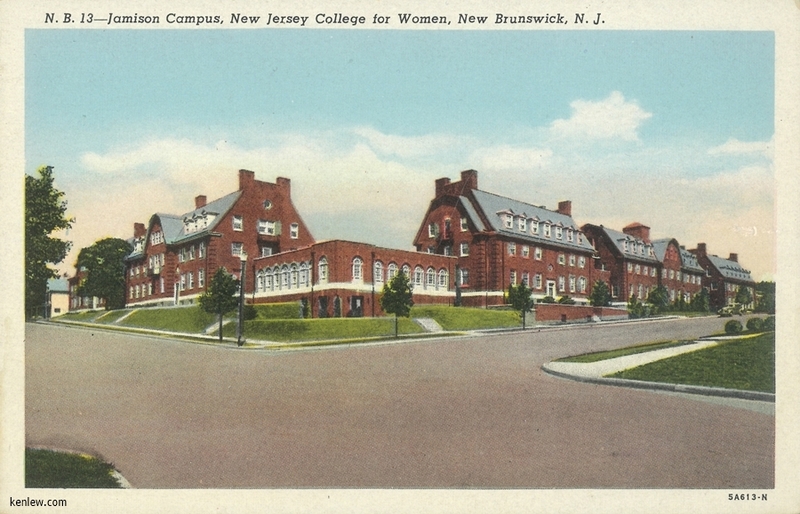 "Old Queens" Rutgers University, The State University of New Jersey. 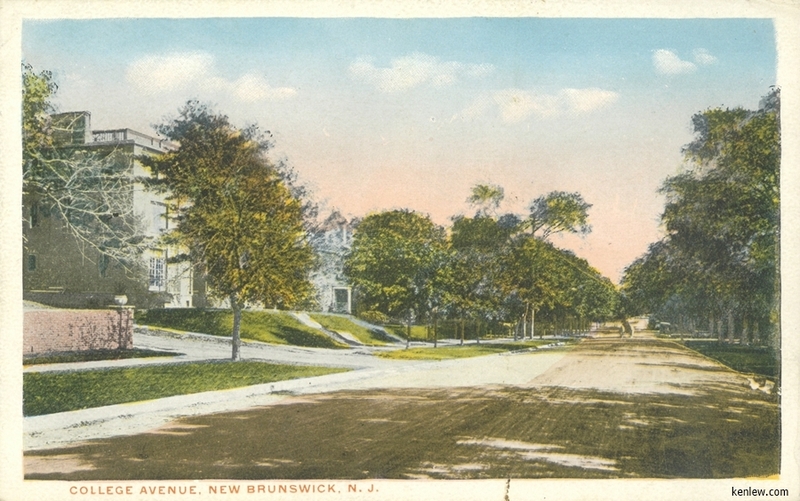 New Brunswick, N.J. N.B. 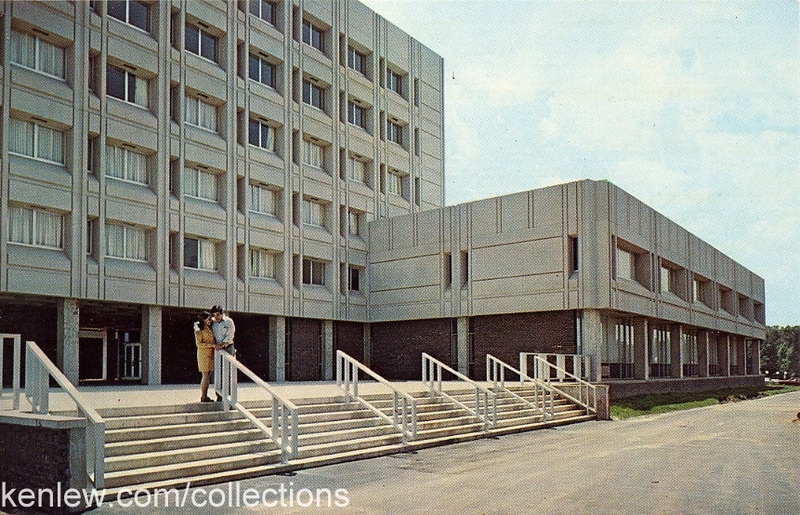 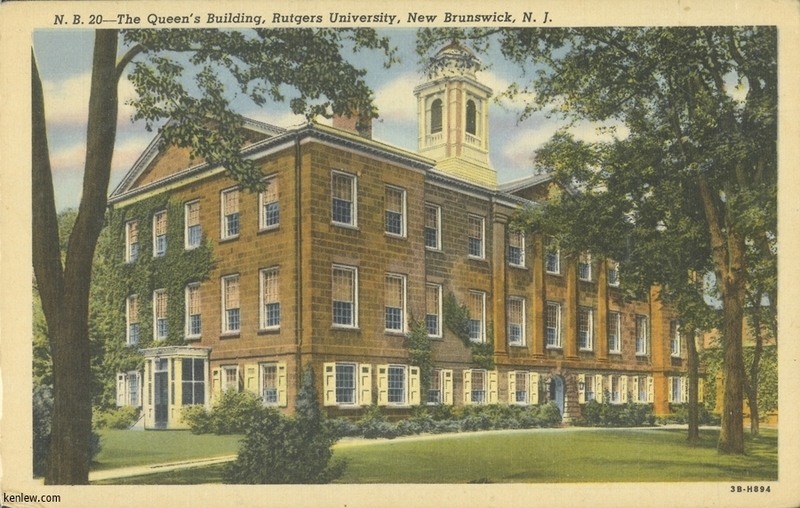 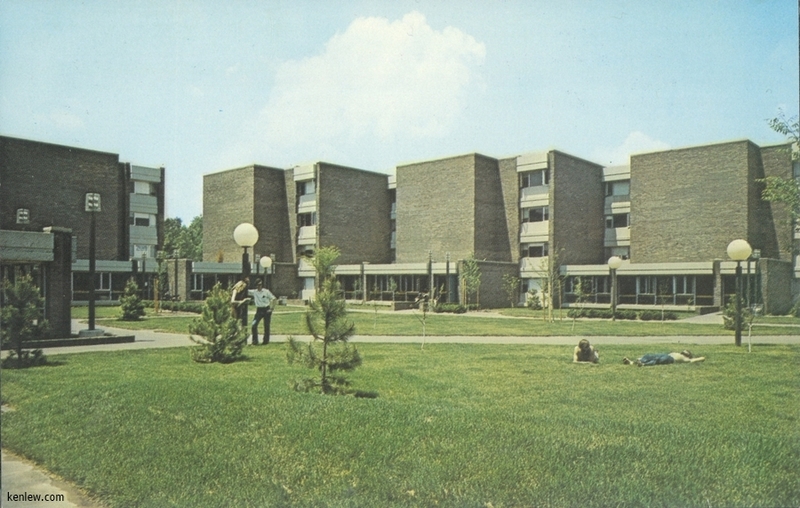 20 -- The Queen's Building, Rutgers University, New Brunswick, N.J. Quadrangle, Rutgers University, New Brunswick, N.J. Physics at Rutgers, New Brunswick, N.J. (Rutgers Gymnasium) N.B. 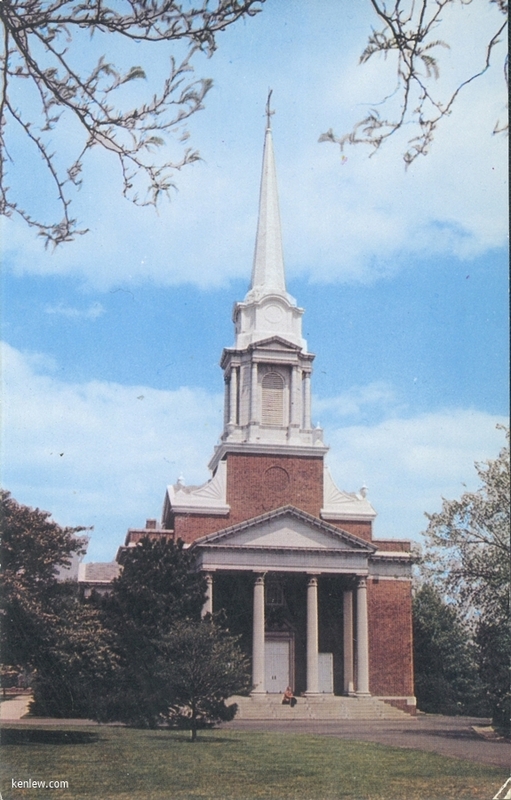 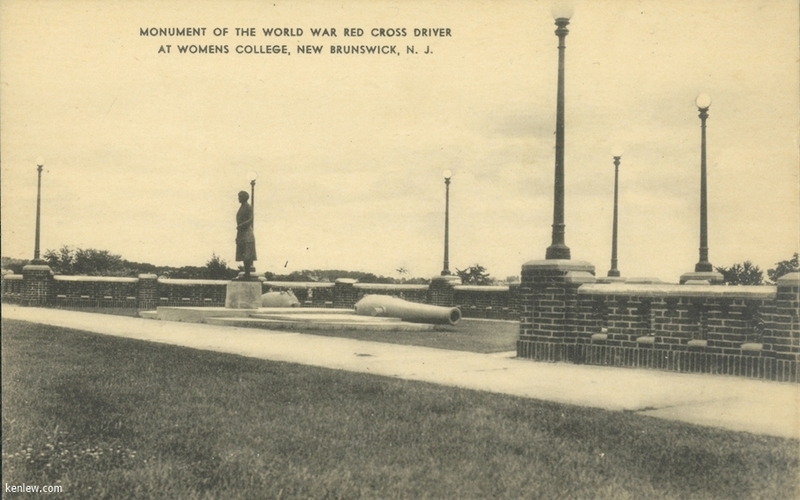 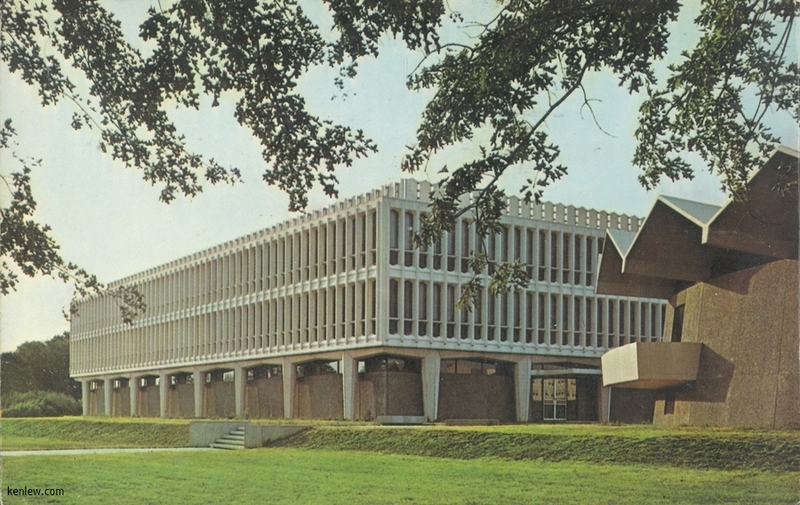 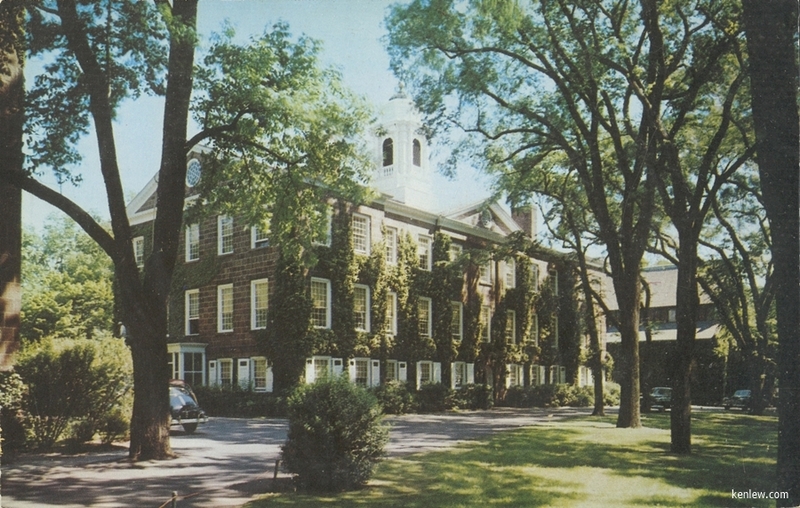 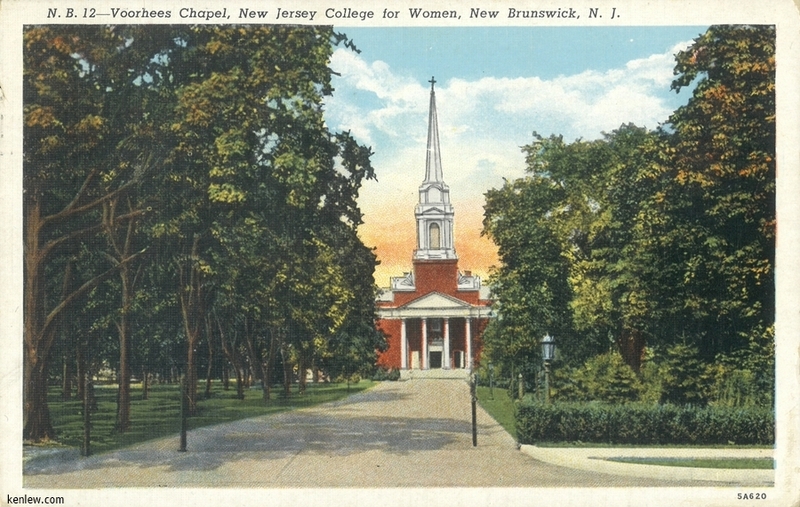 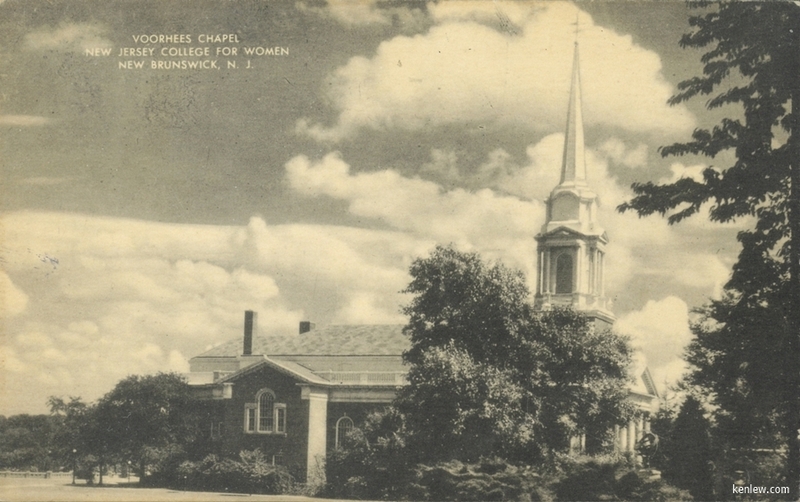 12 -- Voorhees Chapel, New Jersey College For Women, New Brunswick, N.J.